No other automobile dealership that operates in the Dallas, Texas metroplex offers the wide variety of repair and maintenance services. You might have to travel to dealerships in Richardson, Garland, and Rockwall, TX to receive service for three different maintenance jobs. Rusty Wallis Honda handles all of your repair and maintenance needs, but better yet, we clearly explain how you can keep your vehicle humming on Dallas area roads and highways. The automotive team at Rusty Wallis Honda thanks the hundreds of customers that have posted highly favorable online reviews about our superior service department. We not only receive praise for using only quality OEM parts that Honda specifically designed for your vehicle. We also win awards for providing more than just a state-of-the-art service center. As our loyal friends from nearby Mesquite and Garland, Texas attest, Rusty Wallis Honda provides personal and knowledgeable service that goes the extra mile. We base our customer service philosophy the same way upscale restaurants serve their customers. You can expect an accurate diagnosis of what ails your vehicle, as well as an accurate quote on how long the repair and maintenance should take. Run errands, catch a movie, or simply take a walk, while we get to work on your vehicle. What Repair and Maintenance Services Do We Offer? After a thorough evaluation of your vehicle, our team of highly trained service technicians devises a game plan to bring your car up to speed. We walk you through the entire process, with an emphasis on our recommendations, as well as what you can expect after we perform service on your new or used vehicle. You receive a price quote that includes one or more of our part and service specials. Rusty Wallis Honda specializes in preventive car maintenance to ensure our loyal customers that travel to Dallas for service leave in a car that runs like brand new. Customers that visit us from Dallas suburbs such as Rockwall and Mesquite often request general automotive repairs. Bring your vehicle into Rusty Wallis Honda for world class car service. We are easy to find, less than a 10-minute drive north of Mesquite, Texas. 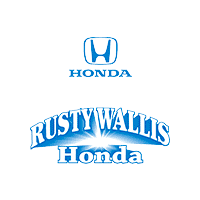 The Rusty Wallis Honda Service Department brings you car repair by certified experts, genuine Honda parts, and more! Call today for an estimate or stop by!